REPLICATE H2020 project in progress, SCCI: REnaissance of Places with Innovative Citizenship and TEchnolgy, project cofounded by the European Commission. RESOLUTE H2020 project DRS7: RESilience management guidelines and Operationalization appLied to Urban Transport Environment http://www.resolute-eu.org, project coordinated by DISIT lab and founded by the European Commission. TESYSRAIL: National Technological Cluster “Trasporti Italia 2020”, Techniques and Tools for Enhancing Environmental Sustainability of rail transport systems. The purpose of the project is to reduce the environmental impact of a railway system, improving its sensibility both on a vehicle and on an infrastructure point of view. This will also be done reducing the environmental impact of all the subsystem components. COLL@BORA social innovation project in smart City: (Paolo Nesi, Scientific coordinator) collaborative and social systems at support hospitals, welfare and relatives with disabilities. SII-MOBILITY: (Paolo Nesi, Scientific coordinator, principal investigator) Support of Integrated Interoperability for Services to Citizens and Public Administration, Smart City: Transport and Terrestrial Mobility, Sii-Mobility objectives are the: (i) reduction of social costs of mobility, (ii) simplify the use of mobility systems, (iii) developing working solutions and application, with testing methods, (iv) contribute to standardisation organs, and establishing relationships with other smart cities’ management systems. Fondazione ICON. A non-profit organization committed to bridge brain studies towards a new computational paradigm: the connectome-inspired computing. This is CON, the International Center of Computational Neurophotonics, founded in July 2011 with the support of LENS (European Laboratory for Non-linear Spectroscopy), the University of Florence and the IBM Foundation. OSIM Open Space Innovative Mind: project (Paolo Nesi as principal investigator) (OSIM Service) has as main objective the realization of a portal on which the industries, students and interested researchers can pose questions with the aim of identifying the competences in terms of researchers and groups in the large knowledge of the University of Florence. In the literature, there is a number of systems that have been proposed to solve the above described problem of helping modeling knowledge bases, may be matching the demand (semantic query) against the offer (knowledge about domain). The accessible version is part of a wider project called Open Space Innovative Mind, which has been partially founded by ECRF, Ente Cassa di Risparmio di Firenze. The OSIM project is presently under development. Palamede e-Journal.press project for Florence University Press, FUP. Web page accessible only from the University Buildings. Re-engineering an OJS solution to make it capable to manage multiple University Press with a certain degree of flexibility and using full multilingual fuzzy search and full document indexing and search. MyStoryPlayer model and tools to operform and execute personal experiences as non-linear stories by following temporal and logical relationships formalized via semantic annotations. (DISIT page of MyStoryPlayer) In MyStoryPlayer, any media segment can be an annotation for another media element, the single media may be used as a basis to create an infinite number of media annotations. The user may navigate in the audiovisual annotations, thus creating its own non-linear experience. The resulting solution includes a uniform semantic model, a semantic database, a distribution server for semantic knowledge and media, and MyStoryPlayer to be used in web applications. The solution has been studied and developed as a generalization of the models describing non-linear stories and navigation experiences, as one would appreaciate in navigatin on serials such as Lost, FlashForward, Odissey5, Doctor Who, etc. The solution may be adopted for modeling educational materials such as those that can be created for medical and theatrical environments. Also integrated into ECLAP portal. Download the MyStoryPlayer Flyer. MIREX 2009 competition: DISIT PAGE, DISIT partecipated to MIREX competition for the 2009, about the polyphonic music transcoding algorithms and tools. Multiple Fundamental Frequency Estimation & Tracking Results. DISIT resulted to be the winner for the Tukey-Kramer HSD Multi-Comparison for Task2B (Piano). Conference 2009. DISIT obtained also very good ranking for the other cathegores with the same algorithms and solutions. Click here If you are interested to the MATHlab code of this project pleasedownload and provide us a citation to our work: F. Argenti, P. Nesi, G. Pantaleo, "Automatic Transcription of Polyphonic Music Based on The Constant-Q Bispectral Analysis", IEEE Transactions on Audio, Speech and Language Processing, IEEE Computer Society press, Vol.19, n.6, pp.1610-1630, Aug. 2011. XMF: cross media finder, a multichannel social network, based on AXMEDIS technology, suitable for PC, PDA (windows mobile) and for mobiles. It allows to distribute MPEG-21 content towards PC, mobiles, PDA, etc. It includes an automated back office to cope with user generated content. This is based on AXMEDIS AXCP tools. AXMEDIS IST FP6 Integrated Projects (as coordinator, principal investigator), http://WWW.axmedis.org, AXMEDIS consortium (producers, aggregators, distributors and researcher) created the AXMEDIS framework, with innovative methods and tools to speed up and optimise content production and distribution, for production-on-demand. 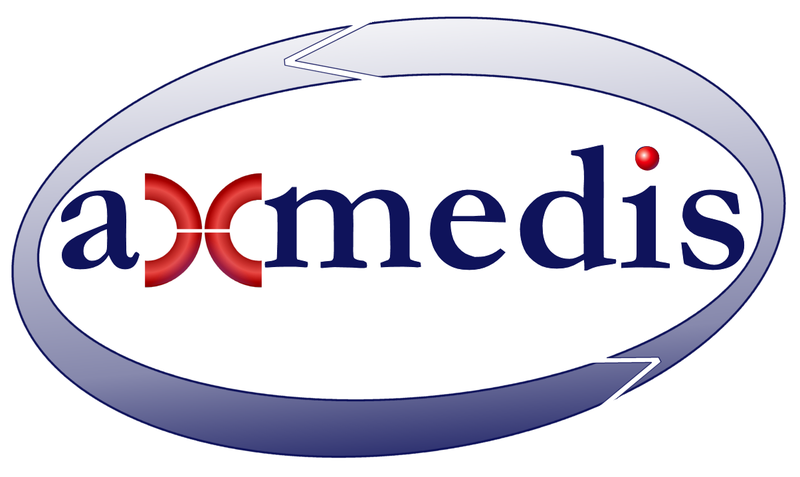 The AXMEDIS acronym stands for Automating Production of Cross Media Content for Multichannel Distribution. AXMEDIS created new knowledge, technology and tools in the area of automated production and protection of cross media content with technologies of MPEG-21 (DRM, digital rights management), P2P, GRID, cloud computing, content and metadata modelling, semantic modelling and execution, object intelligence.The AXCP Media grid is an Innovation selected INNOVAZIONE SELEZIONATA DA ITALIA DEGLI INNOVATORI. A number of SHOW CASES have been produced for VOD, distribution on satellite, distirbution on Museum, distirbution on mobiles, etc. They can be accessed via AXMEDIS portal. The project has attracted a lot of attention from content producer and distributors. Presently about 45 partners joined to access at the AXMEDIS framework. Among the AXMEDIS partners: University of Florence, the AFI phonographic association, FHG-IGD, University of Cataluña, University of Leeds, BBC, TISCALI, HP, EUTELSAT, SEJER, SDAE, Telecom Italia, Telecom Lithuania, Telecom Estonia, EXITECH MBI, EPFL, ASNC, ILABS Giunti, University of Reading, ACIT, KTU, University of Peking, ETRI Korea, VRS Lithuania and many other affiliated partners such as SIAE, RIGEL GESFOR, HEXAGLOBE, PENTEX, etc. see for exploitation AXMEDIATECH. see for picture and content demontration XMF. AXMEDIS tools are distributed by thousands of web sites and cna be taken from AXMEDIS web page. The most downloaded are the AXMEDIS tools for PDA and mobile and P2P. I-MAESTRO: IST FP6, STREP project, (as architecture coordinator). i-Maestro will utilise and improve upon current standards related to music education. 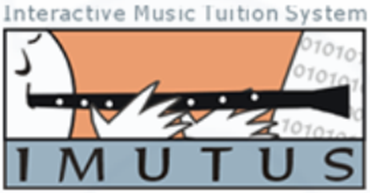 The project aims to explore a unified educational model to maximise efficiency, motivation and interests in the learning processes and to contribute to the (i) deployment and improvement of ISO MPEG-SMR (Symbolic Music Representation) to support music education, (ii) the implementation of music notation/representation into MPEG-4, (iii) production of guidelines on how the music tuition courseware can be implemented in standard tools and models for distance learning. VARIAZIONI e-contentPlus project on the set up and usage of a content enrichment service on music based content by using solutions based on: MPEG-21 based, content processing GRID based, versioning management, DRM, collaborative content enrichment, content annotation, http://www.variazioniproject.org/ ; Exploiting AXCP technology. MPEG AHG on Music Notation, co-chair (with G. Zoia, EPFL) and management of the Ad Hoc Group of MPEG on Music Notation with EPFL. http://www.interactivemusicnetwork.org/mpeg-ahg/ (concluded as a full ISO standard into MPEG-4, as part 23). 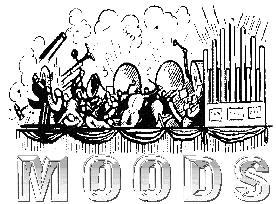 WEDELMUSIC IST 1999 R&D FP5 (WEB delivering of music scores) (as coordinator), In this case, several innovations were added, XML models, secure transactions models, distribution models, certification of clients, multimedia content models, watermarking of symbolic content like music but could be text. XML modelling, transactions, watermarking audio and image score, synchronisation of media, Z39.50, UNIMARC, etc. It has generated also a series of conferences. http://www.WEDELMUSIC.org Every month about 100 of the WEDELMUSIC related tools are freely downloaded. Presently it is distributed in Open Source. Relevant installations are present in Milan and Fiesole. (concluded in the 6/2002), it has been "adopted" by ADOPT-IT. Cooperative Mobile applications and Middleware based on P2P technologies on PDA, client server applications based on PDA. Security Portal: a local project with Firenze Tecnologie for the scientific and technological support for the production of content for a Portal on Information Technology Security. TRACE-IT: (progetto PAR FAS 2007-2013, azione 1.1 PIR 11B, in corso) sistemi di segnalamento ferroviario. Le specifiche del sistema di segnalamento interoperabile europeo ERTMS/ETCS sono in evoluzione. Il sistema di protezione della marcia (ATP) ERTMS/ETCS prevede 3 Livelli. Nel contempo, nel contesto dei Sistemi di ferrovia leggera e di metropolitana si è sviluppata una tecnologia di riferimento universalmente riconosciuta nella denominazione Communication Based Train Control (CBTC), che prevede una intensa comunicazione tra SottoSistemi di terra e di bordo. Gli obiettivi sono lo studio e la definizione di modelli formali per il segnalamento ferroviario. MESA research contract: research contract about the development of algorithms and solution of the evaluation of the number of passing people into interlocked doors for banks and other locations under security control. INDEX-DSP: Multiprocessor system for industrial applications (industrial research agreement) (concluded). ESPRIT III MEPI DIM 45 OFCOMP, study and realisation of computer vision algorithms and custom processors chips for detecting and counting the moving objects. They can be simple object of moving peoples. The applications counted moving people getting in-out the bus. The solution has been based on Optical Flow algorithms and stream analysis, real time solving partial differential equation, special VLSI design, etc. (the so called RETIMAC chip). TETRAPC TTN HPCN ESPRIT IV, Technology Transfer node of High Performance Computing and Networking. DISIT has been involved as a subcontract of CESVIT, Agency for High Tech in Tuscany, to stimulate the technology transfer in the area of High Performance Computer Networking. MUPAAC HPCN ESPRIT IV, http://www.disit.org/5967 distributed systems for the control of the automatic machine tools. DSI has played the role of technology providers, defining the flexible architecture or MUPACC, hardware and software definition, parallel architecture for automatic control, PCI, CANBUS, etc. ICCOC HPCN ESPRIT IV, http://www.disit.org/5963 distributed systems for the automatic control of island of production. Continued with project SAMOPROS: Optimisation process for the production process, TABOO search, genetic algorithm, distributed control system, etc. SAMOPROS: project of MIUR, National Ministry about the adoption of Object oriented models and optimisation algorithms for the plan management and optimisation of the production process in islands of production including milling machines, robots, automated storages, Taboo Search, Genetic Algorithms, etc. http://www.disit.org/5969 java based distributed applications for the direct control of the entire plant. CAT1: Computer vision detection of defects and their classification on text style, algorithms for the real time detection of defects, metrics for classification of defects, real time processing. Research activity in a larger project. CAT2: Vision Based measuring and classification of colours, uniform and patterned colours on textures. Research activity in a larger project. CVDEMC: Real time detection and measuring of cavitation in turbomachineries by using computer vision. Research activity in a larger project. CANBUSxTEXTILE: CAN BUS solutions for Textile machines with TECNOTESSILE (Prato) and SED, monitoring the textile production with computer vision systems on distirbuted architecture. Master in Sound Engineering, University of Florence, started in the 2008 in collaboration with Procia di Firenze, Fondazione Sistema Toscana, IMAIE, SIAE, AFI, Computer Music, etc. O3MR, realisation of an optical music recognition system integrated into WEDELMUSIC Editor,a tool for extracting music from image of scores (partially supported by Hewlett and Packard) assessing optical music recognition tools.